With the winter season upon us, most people are researching ways to help lower their heating bills. There are many ways to do this, and they can be as simple as a few quick do-it-yourself home improvements or a call to your local HVAC company. The three most effective and simple steps can be completed in as little as a few hours. 1. Lower the temperature on your thermostat. 3 to 5 degrees may not feel like much but can make quite a difference in terms of saving money over a period of time, and if you start to get a little chilly add an extra layer of clothing before turning up the thermostat. 2. Space heaters are fairly inexpensive and can be very energy efficient if you do some research. Heating the 1 or 2 rooms you use the most instead of your whole house can save money on heating bills, and is often recommended by government departments. 3. Winterizing your home by adding window seals where needed or using caulk to stop leaks is a simple and effective way to ensure your heating system is not working in vain. If you don't already have them you may want to consider double-paned windows, although you may need to call a professional to have him install them for warranty purposes. While the above tips will increase efficiency and lower bills, sometimes it is necessary to discuss some steps that include a larger investment. They are long- term solutions that will pay off by lowering your heating bills. Here are four heating alternatives to look into. Natural Gas Conversion: While a natural gas heating solution is a financial investment to install it does have other advantages, such as its ability to be used to run appliances, fuel a fireplace and heat water. However since natural gas is provided by local utility companies it may not be available in all areas so be sure to call your local supplier. Ground (Geothermal) Heat Pump Systems: Geothermal Heat Pumps have become quite popular as an alternative way to heat residences and businesses alike. They work by relying on the relatively constant temperature of the earth 3-5 feet below the surface. While the upfront costs can be daunting, it is possible to recoup your investment in as little as five years, and to reduce your energy consumption by 44-72% according to the EPA. Solar Heating Systems: Solar power is economical, renewable, and environmentally friendly, making it appealing to many consumers. While the initial costs can seem to be staggering the long term benefits are worth the work, as the Department of Energy estimates that a properly designed and installed solar system can provide 40-80% of a home's heating needs. 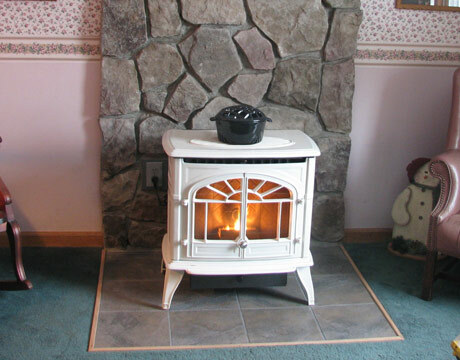 Wood or Pellet Burning Stoves: Wood burning stoves have become more efficient and operate much safer than they did five to ten years ago, and with the increase cost of gas and oil have also been able to provide an economical solution for many homeowners. The Environmental Protection Agency states that they are one of the "cleanest-burning heating appliances available today" and exempts them from smoke-emission testing requirements. Thanks for your tips. In my opinion we can save energy, money and protect the environment with a residential geothermal heat pump. Geothermal, or ground source heat pumps, take advantage of the constant ground or groundwater temperatures to heat and cool your home at a cost of 25-50% less than traditional electric, gas or oil fired heating and cooling systems. As a leading innovator of home heating, cooling and air-quality systems,we're committed to making people feel comfortable in their home environments,which includes a commitment to protect the global environment. Thanks so much for sharing this. I have been doing some research on alternative heating solutions and finding out what truly is the best. Our heating is getting expensive which is why we are searching for alternatives. Heating and cooling with the geothermal way is a great and efficient way to save energy and money both on heating and cooling bills.